From silver, china, glass, sculptures, art, rare books, jewelry, clocks, and fine furniture to the entire household contents of a residence, we will provide a complete appraisal or oversee a productive auction. We will oversee every facet of a liquidation sale, from the advertising campaign, the display and inspections of the merchandise to a dynamic sale of the assets. Inventories including retail businesses, restaurants, machinery equipment and vehicles may be sold on site or at our gallery. Our services include the appraisal and complete auction of real estate from individual residences and condominiums to farms and country estates; commercial properties, multi-story professional and apartment buildings, hotels, motels, shopping centers, industrial facilities and development tracts. Click here to view our Real Estate Services Section. Our experience allows us to select the proper, most productive valuation approach, compile the facts, perform a detailed analysis and reach a supportable, documented conclusion of value. We assist in valuation matters dealing with Bankruptcies, Estate Matters, Mergers & Acquisitions and Marital Dissolutions and provide expert testimony and litigation support. Barry S. Slosberg Inc. is a C.D.P. 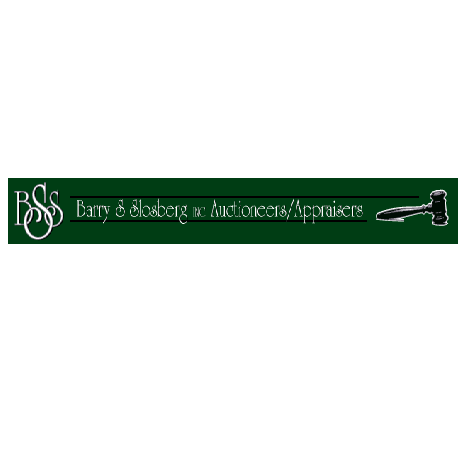 Organization - Barry S. Slosberg Inc. has currently implemented C.D.P., Charitable Donation Program, Which helps various charities take in and sell tangible assets such as real estate, automobiles, fine arts antiques. All net proceeds go directly to the charities.